The simple versatility and timeless style of plantation shutters makes them a popular choice for décor styling. Add a touch of sophistication to any home style by adding a plantation shutter to your room, and enjoy the beauty of total light control. Plantation shutters provide a flexible option, with the ability to have complete light block out, filtered light with the shutter louvres tilted, or opened wide to maximise the winter sun.Choose your shutters to be painted with a large range of colour options to complement your home furnishings, or stained to bring out the natural beauty of wooden features. Plantation shutters are custom made to fit your window, and can be designed to suit almost any size or shape to suit. Made from basswood, a lightweight timber renowned for its lasting elegance, consistent grain, immense strength and stability, and outstanding resistance to bowing or warping, you can be assured of the long-lasting quality of The Blind Factory plantation shutter. Selecting from different shutter blade sizes can also give different effects, choose 63mm for a slimline style or 89mm for a bolder statement. There are options for opening and closing these shutters plantation too, a clearview shutter is operated by tilting the shutter blades themselves, or choose a centre tilt-bar which can be a good option to minimise finger prints! As well as fitting almost any size or shape of window, our plantation shutters even fit in with today’s lifestyle of keeping cleaning to an absolute minimum, requiring only an occasional dust over. When looking for plantation shutters, you can book a FREE in home consultation directly throughout our website for a solution customised just for you. 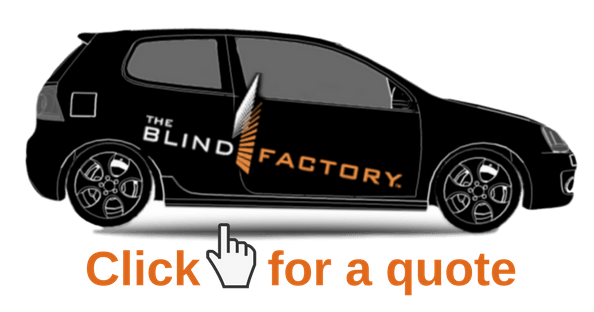 ← Roller blinds – how much do they cost?